Was established in 2015 and it is one of the most developing enterprises in Ukraine. We use both most advanced technologies in production of confectionery products and traditional recipes for homemade pastries. 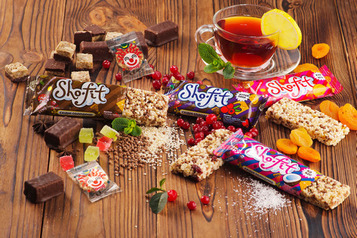 The leading Ukrainian and world cuisines traditions of producing confectionery are united in our product formulation. Our products are manufactured using the most modern equipment of the world's leading manufacturers of confectionery equipment of Italy, Japan, Austria, Germany and Ukraine. We can supply our customer with ever-expanding range of confectionery from environment-friendly ( GMO free) confectionery sunflower seeds, sesame seeds, flax, peanuts, flour for making puff and yeast dough. Our company takes care of the permanent grows of our specialists’ qualification. There are a lot of different seminars and trainings for our leading specialists to make our products even better. 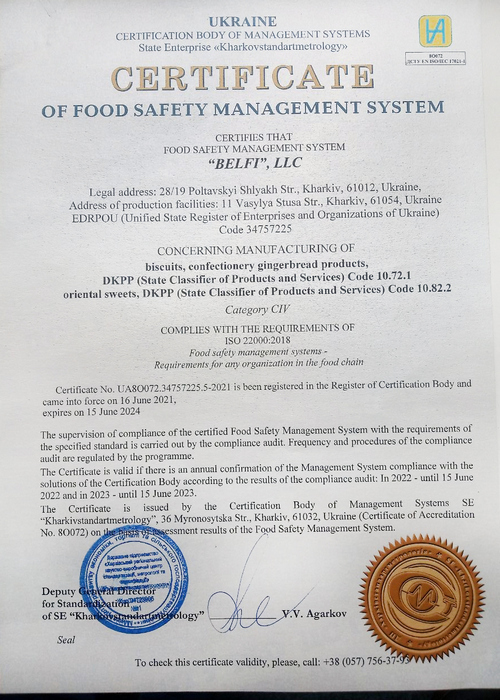 Our company has its own laboratory for control of the incoming raw materials quality and control of compliance with the standards due to Ukrainian legislation. Guided by the principle “So natural, so tasty!”, we are fully responsible for solving the assigned tasks. We consider the main task in providing the highest quality of products using only natural, environmentally friendly ingredients ( GMO free), high-class recipes and modern high-tech equipment.